Unit 1 Block 7 Lot 7. 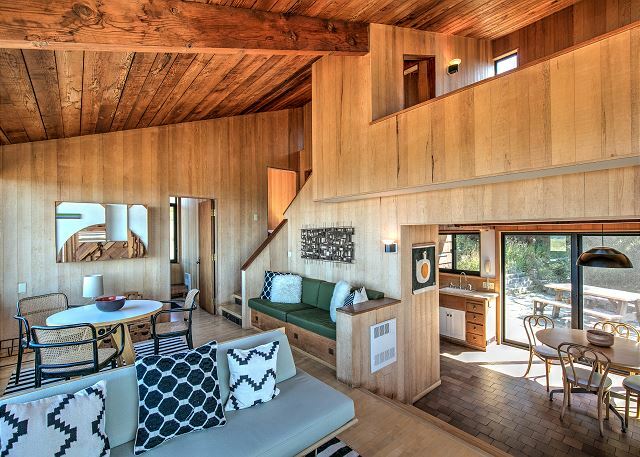 The Esherick home is one of the original six Sea Ranch homes. Joseph Esherick not only designed this house, but also called it home. A wonderful path meanders across a footbridge and over a brook, down to the stone patio. Even though the amenities have been updated, the original architectural feel and style remain the same as when Joe lived there. 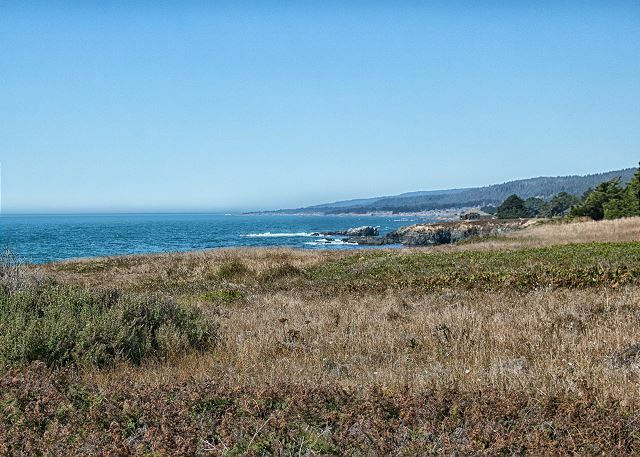 Park the car, because the bluff top trail, Blackpoint Beach, Moonraker Recreation Center and The Sea Ranch Lodge are all in walking distance. Enter into the kitchen/dining area and up two steps into the living room.Through the living room is the den and second bedroom and bath. 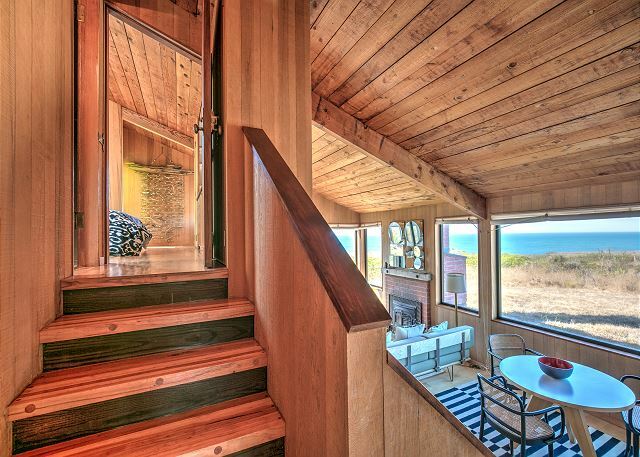 Children over 6 years ok.
We loved staying in this beautiful, cozy, wood-lined home with its Sea Ranch origin story. The craftsmanship is outstanding throughout. We did not need to use our cars at all in order to enjoy fine coastal hikes and views. A true vacation. We did have a few issues with maintenance, tho. One shower did not work and one of the toilets needed repair of flush mechanism. The stove light and fan were not working, either. We reported these at the lodge HQ and trust these issues will be resolved for the next guests. We almost want to keep it a secret, but the house is wonderful. Just what we love: great views, great architecture and design, fireplace, comfortable bed, kitchen. And the Sea Ranch pools--oh wow. We can't wait to return. 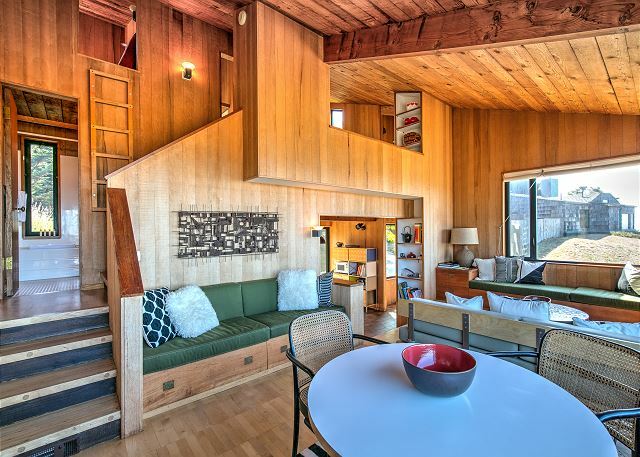 The Esherick House is a lovely piece of Sea Ranch history. 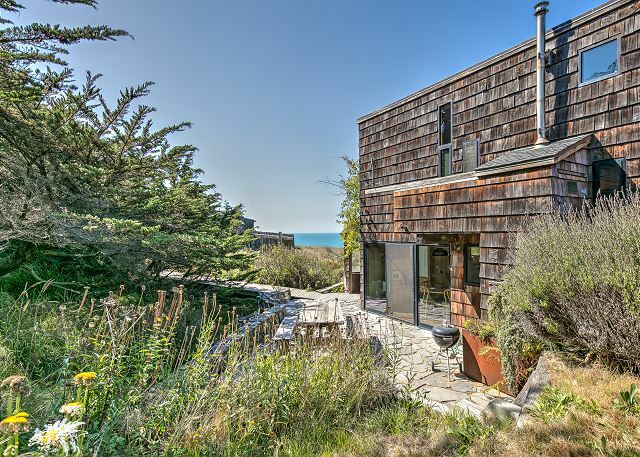 If you are at all interested in Sea Ranch as more than just a place to golf or hike, consider renting Esherick to immerse yourself in why Sea Ranch is unique. Provided a perfect start to our northwest coast roadtrip! Esherick House was a beautiful, stylish, and historic home which perfectly met our small family's needs. Gorgeous scenery with easy access to clifftop trail and an easy walk to the Lodge. Wonderful all around! Came here to get engaged, came back almost half a year later to get married! Wonderful all-inclusiv ewedding package, staff were very helpful and attentive. Can't get any better than the natural splendor of the coast! 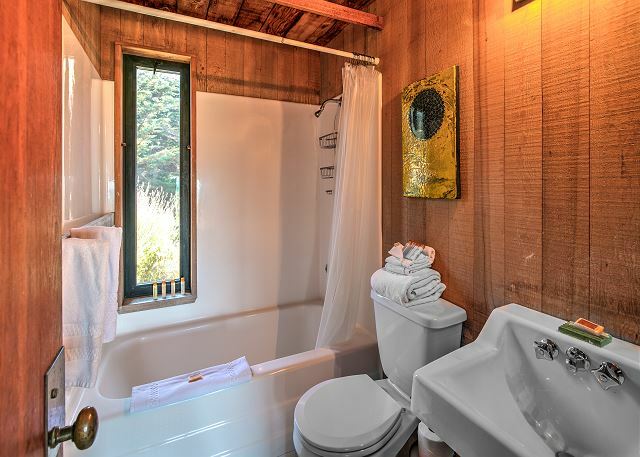 Charming and cozy, stocked with amenities, including plenty of firewood, Escherick House provided a fulfilling getaway from the mad rush of city living. Some aspects of the house weren't functional -- specifically a wiring problem made the master bathroom unusable and the heater fans in some areas didn't work, but that didn't bother us too much. Also, the staff did all they could to rectify the problems, given the fact that we were staying there. a guest from Mission Viejo, CA does not recommend this vacation rental. Although the location is beautiful, I would not stay in this particular home again or recommend it to anyone else. 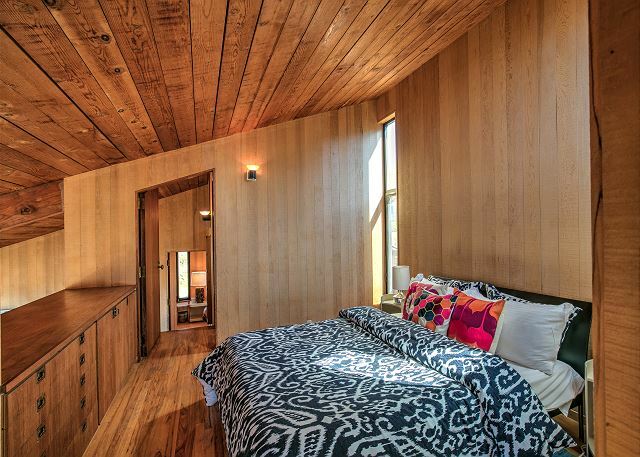 I loved every minute of staying at the Esherick house and only regard not staying longer. Check in was easy, finding the place was fine, the house itself was wonderful. There were a few things that needed attention to: a few of the light bulbs on the wall scones were burned out and needed to be replaced. Also we noticed a slight leak coming from the right of the stove dripping onto the counter. We believe it was coming on the bathroom above it and when we were more mindful of making sure the shower curtain was in place so no water would get on the floor, the leak stopped. We enjoyed walking along the trail, going to Surf market in Gualala, cooking, sitting by the fire and reading! We also go engaged on the trail so there's a special place in my heart for this house. Can't wait to return! we loved this property-- and plan to come back again! The property was beautiful,as was the house. The master bed was a bit soft. Great weather. We loved our stay at the Esherick House. A spectacular setting. Clean and comfortable. Perfect location. We had a relaxing and restorative get-away! Thank you for taking the time out of your schedule to post a review on the Esherick home. We appreciate the great comments and look forward to hosting you again when your travels bring you back into the area. Loved the house, amenities and location, all was perfect - would recommend this spot to anyone! On behalf of the team, thank you for taking the time to post a review on your recent stay at the Esherick home. I was glad to see you had a wonderful time. We look forward to welcoming you back once your travels bring you back to the area. Sad fate for a treasured architectural and historic landmark! Ballantyne F from Verona, WI does not recommend this vacation rental. 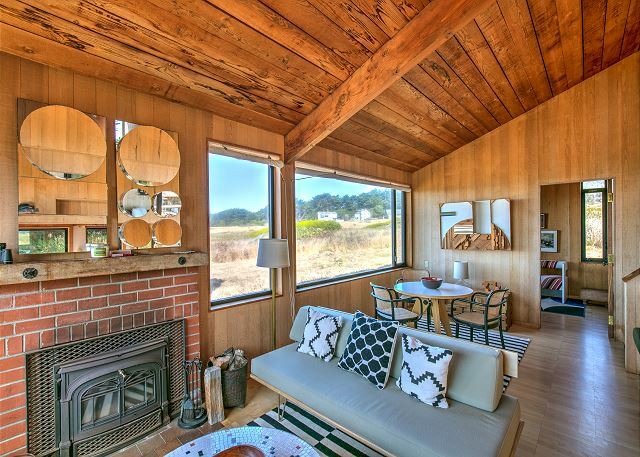 We cannot wait to come back to Sea Ranch! There was something for everyone! As a matter of fact, such fun that everyone participated in all activities from swimming to tennis to walking the beach to golf. Next time our visit will be in Fall or Spring so we can rent bikes - that was the only disappointment. Wish we had discovered Sea Ranch sooner! 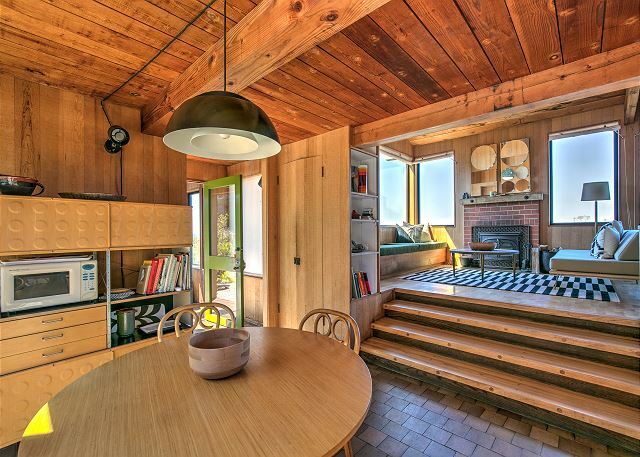 The Esherick house was private, cozy, and quaint. We loved the location as well, easy to walk most everywhere. 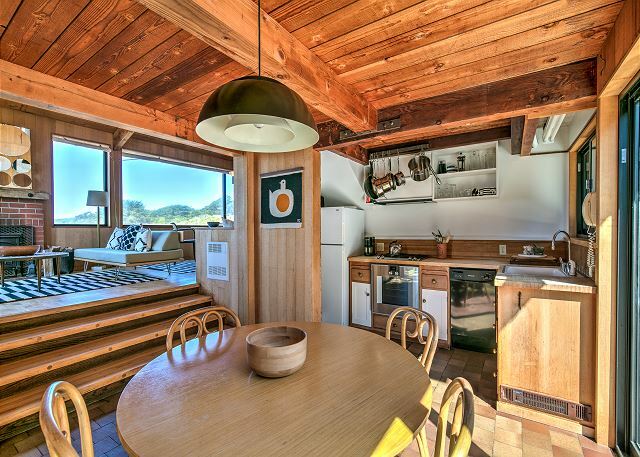 Terrific, terrific views and a well-equipped kitchen, great woodstove. Max E from Portland, OR does not recommend this vacation rental. Nice location, architecturally significant, small & rustic. 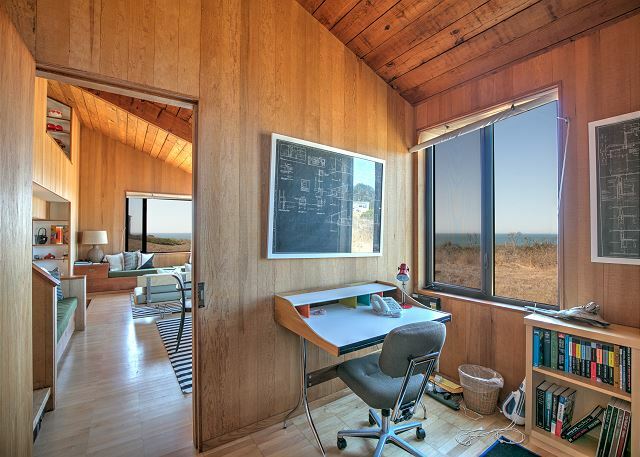 That's what you want at Sea Ranch. We enjoyed the charm but if your looking for a property that has modern conviences and easy to step right into keep looking. It's a cool house but the property managers have done the bare minimum to make your stay turn key. Shame because we really wanted it to work. I never read reviews but this one had a few negative so I wasn't surprised. Management never responded to my requests. Two weeks later I get this survey. Avoid this rental. a guest from Saint Helena, CA - California does not recommend this vacation rental. 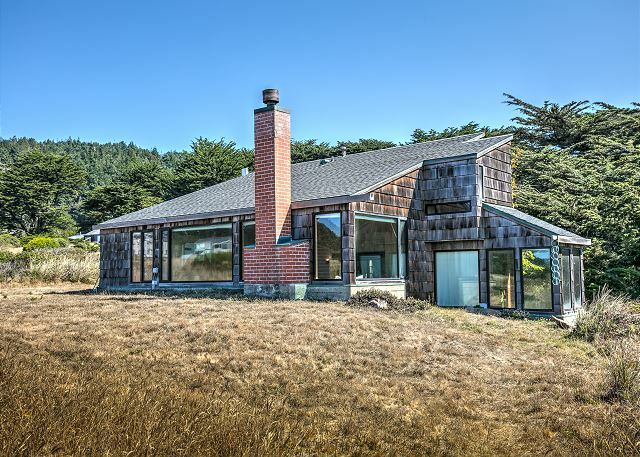 We have a real love for Sea Ranch and the Lodge having spent many happy weekends there over the last 20 years. We loved the location of this house and the style of it, but it was not kept up well enough for the price. The kitchen needs updating, there were cigarette butts left in a shell outside on the patio, there was not enough comfortable seating, the fireplace was not cleaned and nothing was left to start a new fire, the BBQ was out of propane so we weren't able to cook the dinner we had planned, light bulbs were out, the bathrooms needed to be updated and/or cleaner, one curtain rod had several of the loops hanging off, the walls had hooks hanging where pictures had been removed, etc...I stopped at the Lodge desk upon our departure and explained our issues to the staff and was advised a manager would be calling me but I've not heard from anyone and my deposit has not been credited back to me. We loved our time on the trails and beaches and our glasses of wine and dinner at the Lodge. We will definitely continue to return. I would just love to see a bit more care put into the next house. This was our third time staying at the Esherick House. One of the things that we liked about the house, in the past, was that the kitchen was well equipped so we could easily cook our meals. However, this house changed ownership recently, and while surprisingly little had changed, there were no pots. It was my first time ever to cook chili in a wok! Two woks and two small skillets. A bit awkward. We were also sad that there was no sound system. Assuming the new owners provide quality pots, internet access and a way to play music, we'll be back again. The architecture is still wonderful, the view beautiful, and an excellent, wind sheltered outdoor dining space. 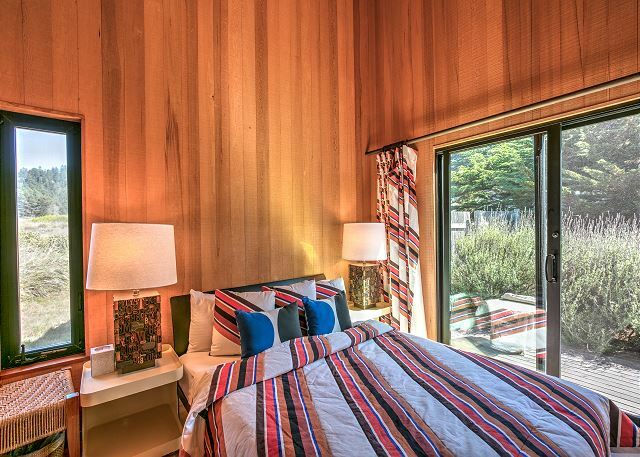 SEA RANCH YES, ESHERICK HOUSE NO. John R. B from Cupertino, CA does not recommend this vacation rental. The house is in poor condition. The exterior entry (first exposure to the house) has a loose, droopy bird preventer net. The floor is covered with stuff. The entry door is chipped and scared. Enter the kitchen, stand in front of the sink and look up - no light fixture cover and exposed drain pipe. Look to the left and see the ant traps I had to buy. Look further left and see the broken toaster. In the living room, grit and ants on the floor. In the first level bathroom, more ant traps I had to put in. Then, a shower that takes forever to drain, and a flat spot in the tub where water stands. I could go on, but with no curb appeal, and the house in such poor condition, I think selling (it is for sale) will be difficult. On the plus side, fine location. I will return to Sea Ranch, but not to that house. we had a great time in this beautiful home. We had w wonderful time at this home. 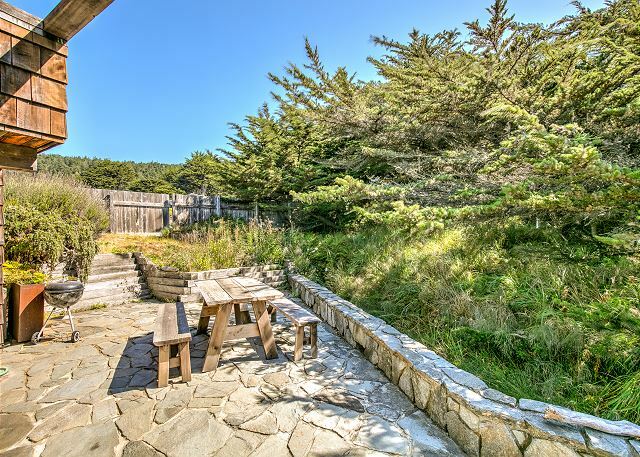 Views of the ocean, steps away from the hiking trail that goes along the bluff and dog friendly. Brian H from Santa Barbara, CA does not recommend this vacation rental. 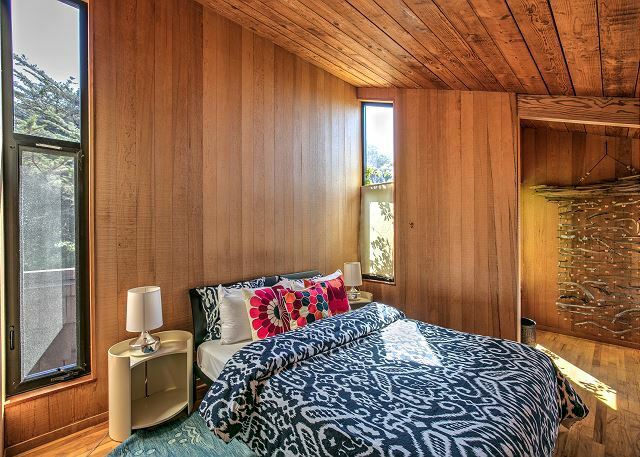 This is very well preserved, architecturally significant home. Some of the furniture are original mid-century Modern pieces (note the Vitra serial numbers). 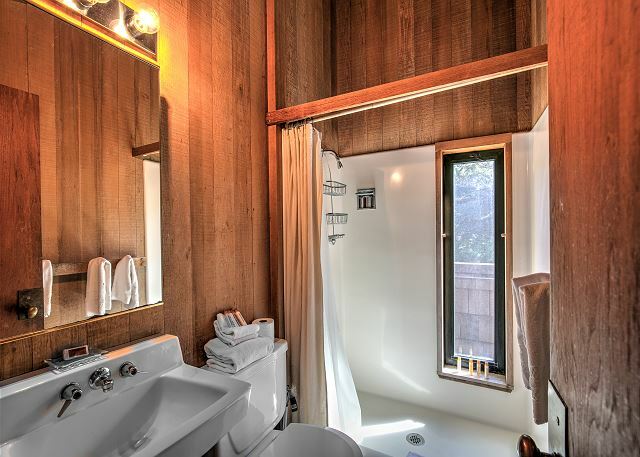 It is unbelievably well located, with great views, immediate access to the Bluff Trail, and a startling amount of privacy given what section it is in. Unfortunately the property is rough around the edges. It is not entirely clean. The kitchen appliances are cryptic and complex. The oven does not have a manual, and it only has German language prompts. I never quite figured out how to get it to stay on. The kitchen is fully equipped, but there is a lot of junk you have to dig through to find anything. The grill outside is a disaster and unusable, and while we were at the place, the combo washer/dryer locked, leaving us unable to get our clothes out. The management company was as helpful as they could be, but there was not one within 200 miles who knew how to repair the washer. The house did not have a hair dryer, but the staff at the front desk immediately delivered one - really in minutes. Internet is excellent at this property. We loved the house and all its original character and smart details. Wish the windows were cleaned but otherwise had a great time. Beautiful- house,scenery,and location were all amazing. Cooked dinner with friends, watched amazing sunsets, cant wait to do it again. There was a lack of information: how to operate heating systems, cook top,television,wifi garbage location. Given the level of rental fee, when upon arrival, one has to go outside and wash all the windows so one can simply see out, as I had to do, is a real downer. If we were to recommend Sea Ranch to others, we would warn them of these failures of appropriate service.